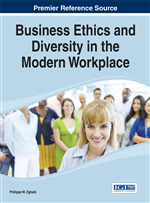 This chapter examines the impact of sexual harassment laws in a work environment. Different contexts are examined with different sexual harassment laws. The most vulnerable individuals are identified. The particular case of Lebanon is inspected where few laws regulate this matter. A comparison is established with the USA. Lebanon and the United States have a different view of sexual harassment. In Lebanon, no clear laws protect women. In addition, Lebanon is more tolerant than the United States. The difference in cultures also contributes in people's willingness to disclose harassment. In the United States, people are used to the concept of right and a judicial system that preserves it. In Lebanon, such a matter is taboo, and people are discouraged from disclosing to preserve their reputation. Unwelcome verbal, visual, or physical conduct of a sexual nature that is severe or pervasive and affects working conditions or creates a hostile work environment. Quid Pro Quo Sexual Harassment: “Refers to a demand by a person in authority, such as a supervisor, for sexual favors in order to obtain or maintain certain job benefits, be it a wage increase, a promotion, training opportunity, a transfer, or the job itself. It forces an employee to choose between giving in to sexual demands and losing job benefits” (ILO, 2001, p 21, Para.4).